What I don’t like is the concept of “thematic map.” It is misleading and sustains an inadequate disciplinary identity. The concept significantly retards the development of a processual approach to maps and mapping. The concept of “thematic map” is ideological, not empirical. Denis Wood (2010, 121–26) demonstrated that map scholars developed the concept in the twentieth century in order to sustain arguments that the scientific study of maps and mapping properly constitutes an autonomous discipline. This origin has caused a number of fundamental problems and confusions that map scholars have generally skirted and ignored so as not to challenge their core disciplinary identities. Arthur Robinson (1986, 807), writing in the Lexikon zur Geschichte der Kartographie, stated that the label “thematic map” was first coined by the German geographer Nikolaus Creutzburg in a presentation to a cartographic study day in Stuttgart in 1952. Creutzburg’s subject was the problems that map designers face when making “thematic maps.” The study day’s organizers published an abstract of his presentation (Creutzburg 1953), which recent authors have tended to identify as the source of the new coinage (e.g., Wood 2010, 122; Slocum and Kessler 2015, 1501). After remaining latent for a few years, the new term spread rapidly after 1960 in “a little thematic cartography explosion” (Wood 2010, 285). In 1961, for example, the International Cartographic Association (founded 1959) established a commission specifically to address “thematic cartography”; dedicated textbooks on thematische Kartographie began to appear (starting with Imhof 1962 and Arnberger 1966); and Robinson incorporated the term into the third, 1969 edition of his classic textbook, Elements of Cartography (Slocum and Kessler 2015, 1501). The timing of this “little explosion” was not a coincidence. The late 1950s and 1960s were precisely the period in which academic cartography expanded and institutionalized in the universities of the industrialized world. Geographers had taught map design in central European technical schools and universities since at least the 1880s and Max Eckert (1921–25) had argued for the academic study of Kartenwissenschaft (map science), but the field did not develop anything like a strong institutional presence (Kretschmer 2015), with separate degree programs and even departments, until academia’s post-war growth. The intellectual and pragmatic need for trained map makers to sustain nuclear-powered industrial societies during the Cold War led cartography to become firmly institutionalized within universities on both sides of the Atlantic; academic societies proliferated (see Wolter 1975). To justify their newly (semi)autonomous place at the academic table, cartographers pointed to their work in codifying and perfecting the thematic map. All this is to say that the new term had been proposed, at least among central European geographers, as a catchall for a wide variety of maps, but it was initially ignored or rejected by other academics. [n2] It was only much later, when they sought to acquire intellectual legitimacy as scientists, that academic cartographers actively embraced the term. Eckert held that the major task for map science was the elucidation of the “principles and methods of enriching and changing” the abstract map image, in order “to make the map really useful for scientific and practical aims” (Eckert 1921–25, 2: iii, quoted by Scharfe 1986, 64–65). The post-war formation of the academic discipline of academic cartography with “thematic cartography” at its heart was sustained by the imposition of the term and concept onto the past. In particular, Arthur Robinson (1952, 13) argued that “specialty” cartography, the preserve of social and natural scientists, had after 1800 branched out from the “substantive” cartography of the engineers. Moreover, the world war had brought substantive cartography to a new level of achievement, if not perfection, but “specialty” cartography remained rooted in unexamined “convention, whim, and…ill-founded judgment.” [n6] It was the task of the new discipline, Robinson argued, to perfect this underdeveloped subject. Robinson sustained his disciplinary vision with a triumphal historical narrative of cartography as the science of the visualization of spatial data and, like Eckert before him, he looked back into the eighteenth and nineteenth century to create this narrative (esp. Robinson 1982; cf. Eckert 1921–25; see Edney 2005). As a general rule, I find continuums to hide misguided thinking, and this one is no different. All continuums are attempts to summarize phenomena by their form without regard to the processes that produce them. In this cartographic continuum, there is a great need to uncouple data abstraction from map scale. However, both kinds of data manipulation remain central to the common understanding of “cartographic generalization” (e.g., Darkes 2017, 292–95), although they are, strictly speaking, distinct (Dahlberg 1984, 149). Their conceptual equivalency has led to much confusion. By and large, any map that is clearly and unambiguously concerned with locations is a “general” or “reference” map, while any map that shows a particular theme or subject (or attribute or variable in GIS terminology: Slocum et al. 2009, 1–2) is a “thematic” map. At the same time, smaller-scale maps are generally designed for specific purposes; they are intended to communicate a message of some sort, as emphasized by academic cartographers’ many models of “cartographic communication.” While concrete topographical maps are made to be generally useful to a wide array of potential users, smaller-scale maps are intended for use by particular groups of users, whether grade-school children, college students, government officials, road travelers, etc. Such maps are necessarily selective in their content, and they emphasize particular themes or categories of abstracted data. In this respect, such “special purpose,” “applied,” limited purpose,” “single-topic,” or “statistical” maps are also often considered to be “thematic maps” (Petchenik 1979, 5). Unlike general reference maps, which provide an overview of various phenomena pertaining to a region and are often created by large mapping agencies, thematic maps focus on the distribution of social or physical phenomena at relatively small scales and are typically created by a single individual or a small team of researchers. …Other terms that have been used for thematic map include distribution map, statistical map, and special-purpose map. Any map with an overt purpose, any map with a message, any map that has “a theme,” and any small-scale map that is not about simply locating places on the earth’s surface is therefore a “thematic map.” The same commentators noted that while they specifically focused on only certain kinds of “thematic map,” the category also encompassed several other kinds of map: “relatively realistic representations of the landscape such as bird’s-eye views, panoramas, or virtual environments…. Similarly excluded are pictorial treatments like the superb physiographic diagrams of Erwin Raisz” (Slocum and Kessler 2015, 1500–1, citing Slocum et al. 2009, 371–88, 460–77). Given that four or so decades of the sociocultural critique of maps and mapping have made it clear that no maps are made without a purpose and without some kind of “theme”—even the most “scientific” and general-purpose reference maps produced by government agencies such as the U.S. Geological Survey or the U.K.’s Ordnance Survey—then all maps must be “thematic maps.” Without a clear definition, whatever conceptual value there might be for academics to use the conception of “thematic map” is utterly lost. But far from suggesting that this continuum of map types should perhaps be discarded, map scholars have generally sustained it by placing it in parallel with an historical narrative. The continuum of ever-increasing degrees of abstraction, from “reference” maps through “special-purpose” maps to “thematic” maps, is replicated in the apparent historical development first of reference maps, then of special-purpose maps, and finally of “thematic” maps; thematic maps then became the core of modern academic cartography. Henry Castner (1980) argued, for example, that eighteenth-century Russian forestry maps in Russia were the precursor to thematic maps (see also MacEachren 1979; Robinson 1982; Slocum et al. 2009, 20–33). At the same time, a great deal of emphasis has been placed on the development of particular techniques of data visualization—the isoline, the graduated circle, choropleth shading, the flow line, etc.—as strictly generic strategies divorced from subject matter (e.g., Wood 1994; Friendly 2008; Slocum and Kessler 2015). What surprised me when I read this statement is that, far from demonstrating that there is no sharp line between reference and thematic maps, Barbara Petchenik (1979, 5) in fact argued for “a fundamental (and hierarchical) reference/thematic distinction” (emphasis added). From a processual approach we can discern a series of major modes of mapping, which is to say large patterns in the ways in which maps are produced, circulated, and consumed. Each mode embraces more specific kinds of mapping. Geographical mapping, for example, is the mode of mapping the earth and its regions, generally within a framework of cosmographical coordinates (meridians of longitude and parallels of latitude). It is by no means a monolithic whole and there are many different kinds of geographical mapping. An initial statement of a processual approach, for example, noted that the early mapping of New England has not a single group of regional maps, but at least three kinds: atlas maps; maps in celebratory books; and wall maps. Each kind manifested a different pattern of production, circulation, and consumption. (For more, see Edney 2017). From this perspective, we can see that “special-purpose” maps are part and parcel of the primary modes. Marine mapping is its own mode. Road and other transportation maps used by the public to get around are specialized forms of geographical maps (see Akerman and Nekola 2016, a wonderful website). More detailed maps, such as the layout of railroad yards or the construction of roads, are part of the modes of place and engineering mapping. (Modes are defined by patterns of circulation, not by the subject matter depicted.) The histories of such mapping need to be told in the context of the parent modes. But “thematic mapping” comes with all of the baggage and confusions laid out above. It is no longer useful and must be discarded, along with the continuum that sustains the flawed concept. My preference is to label the mode that of “analytic” mapping. [n7] It is mapping that is specifically analytical in nature, that might intersect with other modes, as when modern atlases contain both geographical and analytic maps, but is otherwise marked by distinct patterns of circulation and consumption among natural and social scientists. At the same time, Susan Schulten (2012) traced the development of analytic mapping in the nineteenth-century U.S., a process that entailed both statistical mapping and historical mapping. Yes, making maps of the past is a form of analytic mapping. In this respect, what are often called “historical maps” should be called analytic maps (and thereby we can avoid the semantic confusion between “historical map” as an early map or a map made of the past, a point I know I shall write more about in future). What is needed is a concerted history and reframing of analytic mapping, one that explores the rise of a distinct way of conceptualizing the world without reference to the disciplinary desires of academic cartography and that understands analytic mapping as a core element of the modern social and natural sciences (and even, perhaps, humanities: see Moretti 2005). A friend emailed me yesterday after reading this blog with the complaint that I was simply renaming "thematic maps" and specifically restricting them to one end of the continuum. All maps, they wrote, are intended to present and understand the world in some way, so that all maps are analytic. And a trained map reader can analyze any map to draw a conclusion about the nature of the world. Why, then, my friend asked, should I continue to identify a "a coherent class of [such] maps"? Well, I'm not. I don't recognize any coherent class of maps, whether reference (whatever that is) or thematic, marine or geographical, urban or topographical. What I do recognize is that there are broadly coherent modes of mapping processes, in which people produce, circulate, and consume knowledge about the spatial complexity of the world in broadly similar ways. Within a mode there is a wide variety of map forms — graphic, verbal, physical, gestural, connected by inscriptive and incorporative practices — but all are connected by common approach to the world. Modes are comprised of threads of discourse, that can be readily studied, but even they are heuristic in nature. The only empirically grounded formation is the precise spatial discourse whose participants and processes are well identified. in this respect, what I do see is that there a large number of precise spatial discourses in which people in a variety of academic and governmental institutions (although not necessarily so) actively engage in the investigative analysis of phenomena as they vary over space, and they present their results in some form that we take to be a map. Such discourses intertwine in threads of discourse. There's such a thread among epidemiologists who are interested in the mapping of disease, although the precise constituent discourses might vary by the disease(s) being studied, the attempt to relate the disease to environmental or genetic factors, etc. It is all a self-contained group of producers and consumers who circulate their "analytic maps" among themselves. It is an obviously different group of producers and consumers interested in spatial issues concerning bedrock geology. And so on. 2) presume that each analytical thread is more properly connected to threads in other modes, within which they should be folded for the purposes of map studies, rather than grouped together as a separate mode. I think my friend would argue (2), but I am still committed to (1). The threads of overtly analytical mapping have so much in common in terms of their circulation/networking that I think it meaningful to identify a mode of analytic mapping. Clearly, there needs to be some careful analyses of analytical spatial discourses and how they relate to others, keeping in mind that there is the distinct possibility that they don't interrelate well. My apologies if these comments are cryptic ... it's the job of this blog to let me try and work out the underlying points! So please stay tuned! [n1] I am thoroughly indebted to Dr. Jana Moser of the Leibniz-Institut für Länderkunde (IfL), in Leipzig, for sending me a high-quality scan of the atlas’s preface and table of contents. [n2] JSTOR also threw up a metaphorical use of carte thématique from 1949. It appears in an essay concerning the psychology of memory and might well be dismissed as a passing poetic remark, but it follows other metaphorical references to “geological methods” for making “psychological maps” so the author might have been drawing on cartographic practice (Ruyer 1949, 75). [n3] The same emphases are evident in Charles Deetz’s (1936) manual of cartographic design. I am struck by the manner in which this book languishes in obscurity when it was actually the first cartography manual produced in the U.S. Raisz’s General Cartography (1938) has been privileged by modern commentators because it dealt with thematic maps (see Edney 2014, 87). [n4] The novelty of the concept of “abstract maps” is perhaps indicated by the error of the translator, not caught by the journal editor, of using “concrete” when “abstract” was clearly intended in the key passage (Eckert 1908, 346). [n5] The pre-war necessary integration of cartography within geography continued to be asserted by post-war Soviet scholars. In this regard, Wolter (1975, 7n9) usefully contrasted Salitchev’s (1973) insistence that cartography required a geographical understanding of the phenomena being mapped to Morrison’s (1974) argument that the science of cartography rests on thematic mapping. [n6] Robinson’s label of “speciality” maps perhaps stemmed from Erwin Raisz’s General Cartography (1938). This text is notable as the vehicle in which the Hungarian-trained Raisz introduced Eckert’s ideas into the U.S. (Wood 2010, 122). [n7] I must thank Max Edelson for guiding me to accept “analytic” as an appropriate term for this mode of mapping. Akerman, James R., and Nekola, Peter. 2016. “Mapping Movement in American History and Culture.” http://mappingmovement.newberry.org/. Arnberger, Erik. 1966. Handbuch der Thematischen Kartographie. Vienna: Franz Deuticke. Castner, Henry W. 1980. “Special Purpose Mapping in 18th Century Russia: A Search for the Beginnings of Thematic Mapping.” American Cartographer 7, no. 2: 163–75. Creutzburg, Nikolaus. 1933. “Vorwort des Herausgebers.” In Meyers grosser Hand-Atlas, edited by Nikolaus Creutzburg, iii–iv. 8th ed. Leipzig: Bibliographisches Institut. ———. 1953. “Zum Problem der thematischen Karten in Atlaswerken.” Kartographische Nachrichten 3, nos. 3-4: 11–12. Dahlberg, Richard E. 1984. “The Public Land Survey: The American Rural Cadastre.” Computers, Environment and Urban Systems 9, no. 2–3: 145–53. Darkes, Gilles. 2017. “An Introduction to Map Design.” In The Routledge Handbook of Mapping and Cartography, edited by Alexander J. Kent and Peter Vujakovic, 287–98. London: Routledge. Deetz, Charles H. 1936. 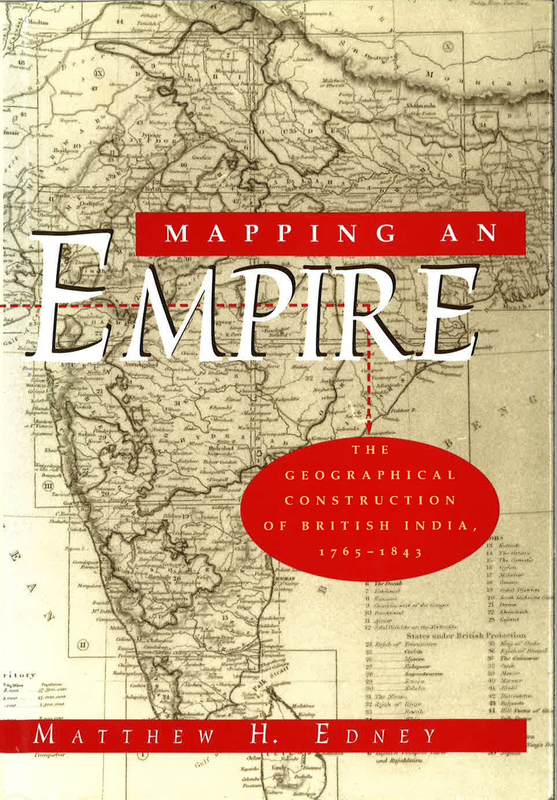 Cartography: A Review and Guide for the Construction and Use of Maps and Charts. U.S. Coast and Geodetic Survey, Special Publication 205. Washington, D.C.: G.P.O. Eckert, Max. 1907. “Die Kartographie als Wissenschaft.” Zeitschrift der Gesellschaft für Erdkunde zu Berlin 1907, no. 8: 539–55. ———. 1908. “On the Nature of Maps and Map Logic.” Trans. W. Joerg. Bulletin of the American Geographical Society 40, no. 6: 344–51. Reprinted in The Nature of Cartographic Communication, edited by Leonard Guelke, Cartographica Monograph 19 (Toronto: B. V. Gutsell, 1977), 1–7. ———. 1921–25. Die Kartenwissenschaft: Forschungen und Grundlagen zu einer Kartographie als Wissenschaft. 2 vols. Berlin: Walter de Gruyter. Edney, Matthew H. 2005. “Putting ‘Cartography’ into the History of Cartography: Arthur H. Robinson, David Woodward, and the Creation of a Discipline.” Cartographic Perspectives 51 (2005): 14–29. Reprinted, with corrections, in A Reader in Critical Geographies, ed. Salvatore Engel-Di Mauro and Harald Bauder (Praxis (e)Press «www.praxis-epress.org», 2008), 711–28. ———. 2014. “Academic Cartography, Internal Map History, and Critical Studies of Mapping Processes.” Imago Mundi 66 supplement (2014): 83–106. Friendly, Michael. 2008. “A Brief History of Data Visualization.” In Handbook of Computational Statistics: Data Visualization, edited by C. Chen, W. Härdle, and A. Unwin, 1–34. Vol. 3Heidelberg: Springer-Verlag. Gelcich, Eugen, and Friedrich Sauter. 1894. Kartenkunde, geschichtlich dargestellt. Stuttgart: G. J. Göschen. Hettner, Alfred. 1933. [atlas review] Geographische Zeitschrift 39, no. 2 (1933): 110–11. Imhof, Eduard. 1962. Thematische Kartographie: Beiträge zu ihrer Methode. Berlin: De Gruyter. Kretschmer, Ingrid. 2015. “Eckert, Max.” In Cartography in the Twentieth Century, edited by Mark Monmonier, 338–40. Vol. 6 of The History of Cartography. Chicago: University of Chicago Press. MacEachren, Alan M. 1979. “The Evolution of Thematic Cartography: A Research Methodology and Historical Review.” Canadian Cartographer 16, no. 1: 17–33. Moretti, Franco. 2005. Graphs, Maps, Trees: Abstract Models for Literary History. London: Verso. Morrison, Joel L. 1974. “Changing Philosophical/Technical Aspects of Thematic Cartography.” American Cartographer 1 (1974): 5–14. Ormeling, Ferjan. 2007. “The Development of Cartography Manuals in Western Europe: Henri Zondervan.” In Ormeling’s Cartography: Presented to Ferjan Ormeling on the Occasion of His 65th Birthday and His Retirement as Professor of Cartography, edited by Elger Heere and Martijn Storms, 183–89. Utrecht: Faculteit Geowetenschappen Universiteit Utrecht for the Koninklijk Nederlands Aardrijkskundig Genootschap. Pápay, Gyula. 2017. “Max Eckert and the Foundations of Modern Cartographic Praxis.” In The Routledge Handbook of Mapping and Cartography, edited by Alexander J. Kent and Peter Vujakovic, 9–28. London: Routledge. Petchenik, Barbara Bartz. 1975. “Cognition in Cartography.” In Proceedings of the International Symposium on Computer-Assisted Cartography, 21–25 September 1975, 183–93. Washington, D.C.: U.S. Bureau of the Census and the American Congress on Surveying and Mapping. Reprinted in The Nature of Cartographic Communication, edited by Leonard Guelke, Cartographica Monograph19 (Toronto: B. V. Gutsell, 1977), 117–28. ———. 1979. “From Place to Space: The Psychological Achievement of Thematic Mapping.” American Cartographer 6, no. 1: 5–12. Robinson, Arthur H. 1952. The Look of Maps: An Examination of Cartographic Design. Madison: University of Wisconsin Press. ———. 1982. Early Thematic Mapping in the History of Cartography. Chicago: University of Chicago Press. ———. 1986. “Thematische Kartographie.” In Lexikon zur Geschichte der Kartographie von den Anfängen bis zum ersten Weltkrieg, edited by Ingrid Kretschmer, Johannes Dörflinger, and Franz Wawrik, 2: 807–8. 2 vols. Vol. C of Die Kartographie und ihre Randgebiete: Enzyklopädie. Vienna: Franz Deuticke. Ruyer, Raymond. 1949. “Le mystère de la mémoire d’après F. Ellenberger.” Revue Philosophique de la France et de l’Étranger 139: 72–79. Salitchev, K. A. 1973. “Some Reflections on the Subject and Methods of Cartography after the Sixth International Cartographic Conference.” Canadian Cartographer 10 (1973): 106–11. Reprinted in The Nature of Cartographic Communication, ed. Leonard Guelke, Cartographica Monograph 19 (Toronto: B. V. Gutsell, 1977), 111–16. Scharfe, Wolfgang. 1986. “Max Eckert’s Kartenwissenschaft: The Turning Point in German Cartography.” Imago Mundi 38: 61–66. Schulten, Susan. 2012. Mapping the Nation: History and Cartography in Nineteenth-Century America. Chicago: University of Chicago Press. Slocum, Terry A. and Fritz C. Kessler. 2015. “Thematic Mapping.” In Cartography in the Twentieth Century, edited by Mark Monmonier, 1500–24. Vol. 6 of The History of Cartography. Chicago: University of Chicago Press. Slocum, Terry A., Robert B. McMaster, Fritz C. Kessler, and Hugh H. Howard. 2009. Thematic Cartography and Geovisualization. 3rd ed. Upper Saddle River, N.J.: Pearson Prentice Hall. Wolter, John A. 1975. “The Emerging Discipline of Cartography.” Ph.D. dissertation (Geography). University of Minnesota. Wood, Denis. 2010. Rethinking the Power of Maps. With contributions by John Fels and John B. Krygier. New York: Guildford. Wood, Michael. 1994. “Visualization in Historical Context.” In Visualization in Modern Cartography, edited by Alan M. MacEachren and D. R. F. Taylor, 13–26. Oxford: Pergamon. Zondervan, Henri. Allgemeine Kartenkunde: Ein Abriss ihrer Geschichte und ihrer Methoden. Leipzig: B. G. Teubner, 1901. Zöppritz, Karl. 1884. Leitfaden der Kartenentwurfslehre für Studierende der Erdkunde und deren Lehrer. Leipzig.